For a service department that you can trust, visit us at Belleville Toyota today. We have your satisfaction at the forefront of our minds at all times. That's why we treat every vehicle that comes in as if it were our own. Whether you come to Belleville Toyota for a simple oil change or for a full-service request, you can trust the work that is being done on your vehicle. At Belleville Toyota, our team of dedicated service technicians complete every job with professionalism and attention to detail. 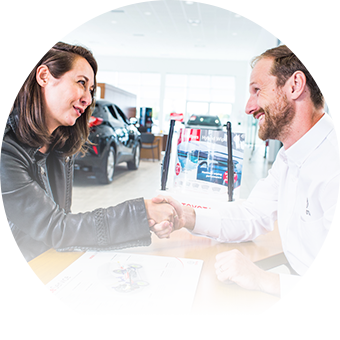 Our team of experienced service technicians have years of experience and are Toyota-trained, so you can trust that they'll work to maintain the performance and value of your vehicle and treat it to quality care. When you visit Belleville Toyota for a service appointment, don’t forget to see how our special offers can help you save on a wide range of service jobs as well. At Belleville Toyota, our state-of-the-art service centre is fully equipped to handle any job. By trusting Belleville Toyota with your vehicle, you're ensuring the reliability and value of your vehicle for years to come. Come in today and see how we can help service your vehicle.